The Government of the Republic of Molossia is very proud to introduce our newest metal coins, the 100 Valora. This new issue of coins comes in two editions, the first with the profile of His Excellency, The President on the obverse and the Arms of the Republic of Molossia on the reverse. The second coin displays the bust of Emperor Norton, one of Molossia's most revered heroes, on the obverse and the Arms of the Republic of Molossia on the reverse. 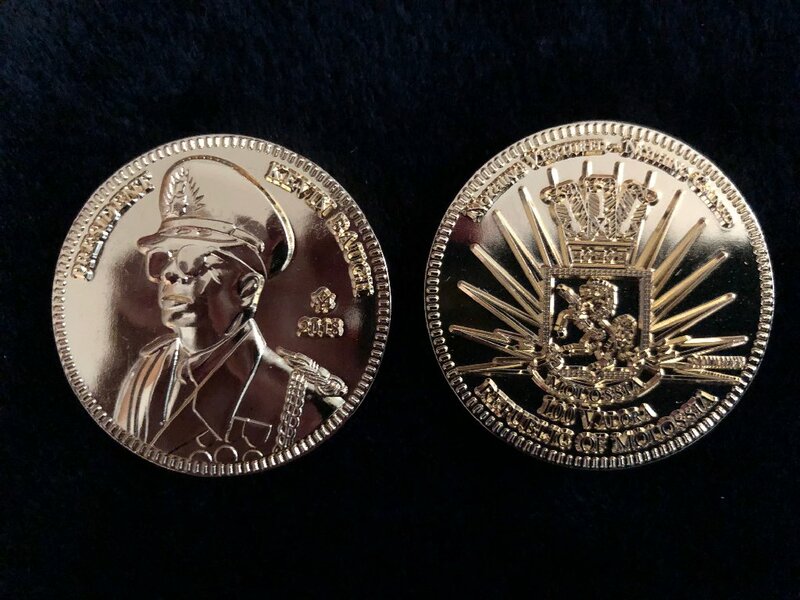 This coin is also issued in recognition of the 200th anniversary of the birth of the Emperor, 1818 - 2018. 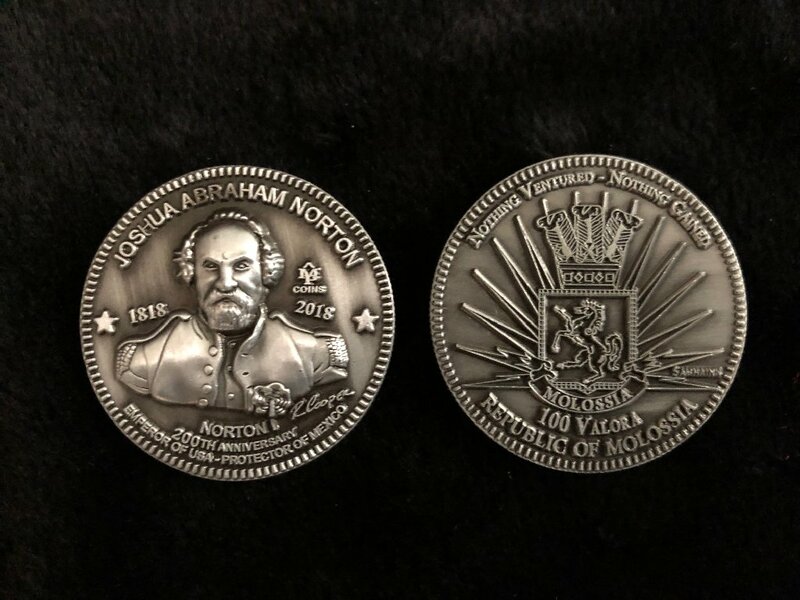 Both coins display the motto of Molossia, "Nothing Ventured, Nothing Gained" on the reverse, above the Arms. 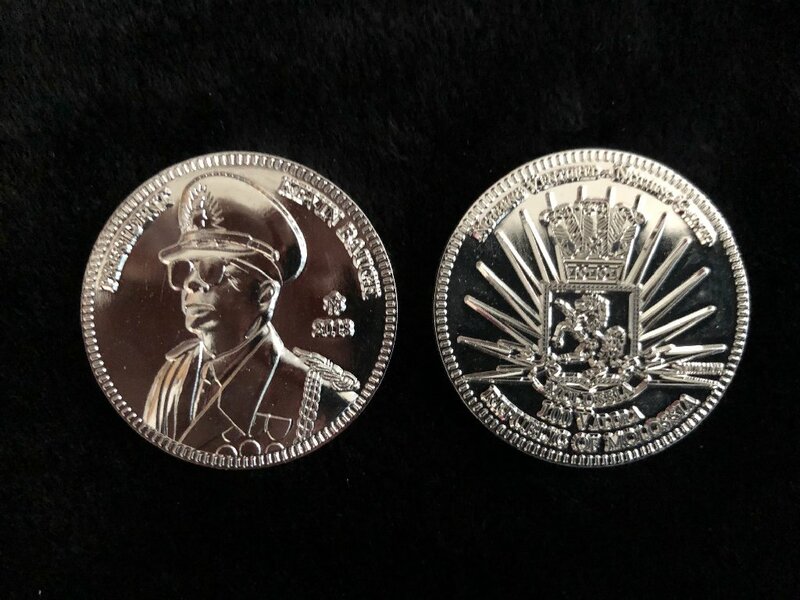 The new coins are zinc alloy, with a reeded edge and raised relief designs on the obverse and reverse. They are 1.5 Micro-Nortons (40 mm / 1.5 in) in diameter. They are produced in limited quantities by the mint, MP Coins, in Venezuela and Spain. 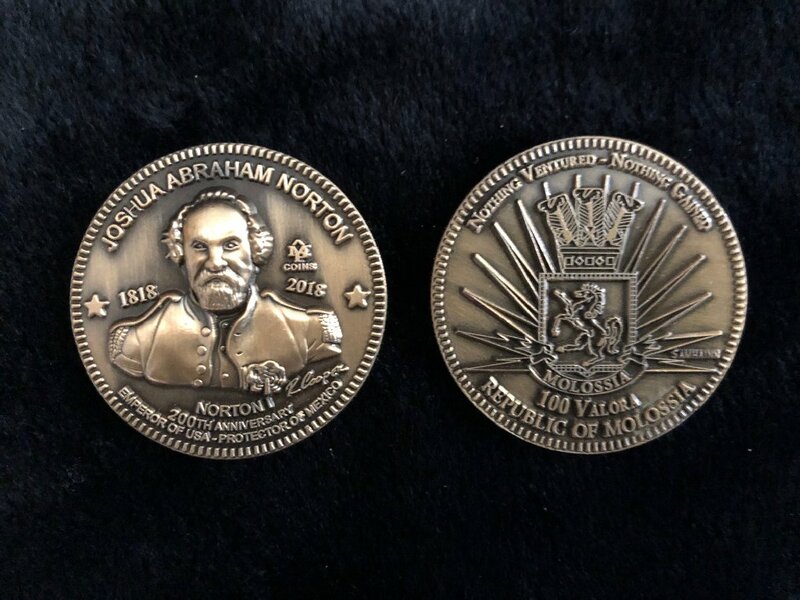 They can be purchased through the Bank of Molossia webpage while supplies last, and through the website of the mint, MP Coins. We are quite proud of this latest coinage, as they are yet another symbol of our nation's progress and prosperity.